Wow! This girl is such a badass! Double corks, styled no-grab airs and gnarly rails, all served with a huge smile. 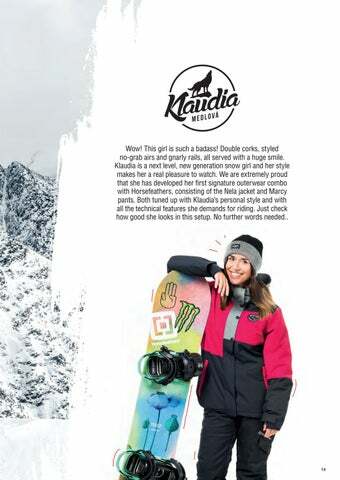 Klaudia is a next level, new generation snow girl and her style makes her a real pleasure to watch. 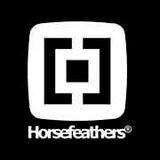 We are extremely proud that she has developed her first signature outerwear combo with Horsefeathers, consisting of the Nela jacket and Marcy pants. Both tuned up with Klaudiaâ&#x20AC;&#x2122;s personal style and with all the technical features she demands for riding. Just check how good she looks in this setup. No further words needed..